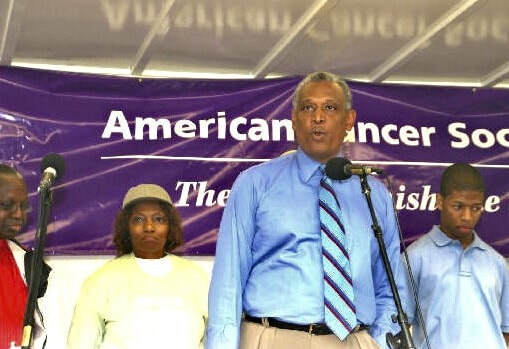 Mount Vernon residents were among the 3.5 million people in 4,800 communities nationwide to host the American Cancer Society’s premiere event, Relay for Life. More than 50 teams of cancer survivors, friends, family, businesses, hospitals, churches and a host of organizations raised more than $45,000. 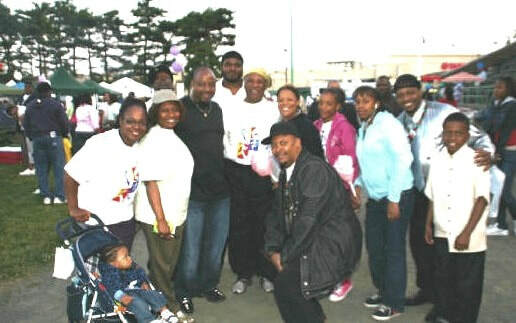 Proceeds will benefit vital cancer research, educational programs, and services in the community. 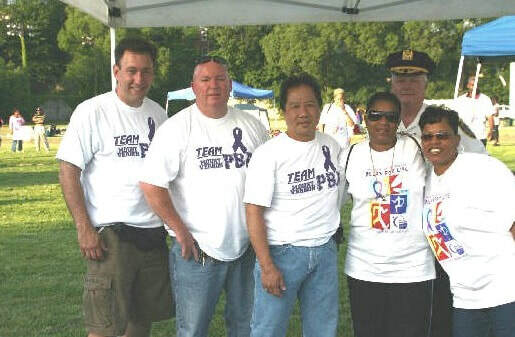 Mount Vernon’s very first Relay for Life was held from 7 p.m. on June 15, until 8 a.m. on June 16, 2007. Fundraising teams camped out in tents overnight at Memorial Field. A live entertainment stage, barbeque areas, vendors, and a children’s play area transformed the field into a small village to celebrate cancer survivorship. George Brown, Deputy City Clerk, and the event’s co-chair, was equally exuberant. Brown commented, “I am elated, and ecstatic, that this has come to fruition.” Brown spoke of his earliest meetings with D’Imperio to organize the event seven months ago. 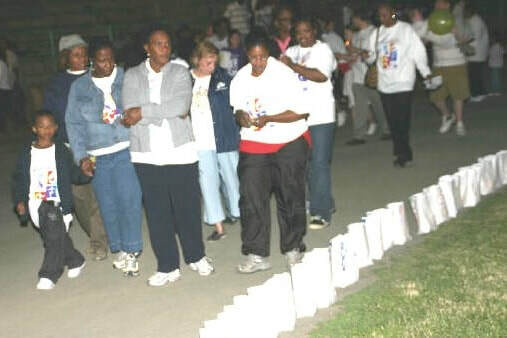 “Relay for Life is the marquis event for the American Cancer Society. Mount Vernon is now on the map,” said Brown. 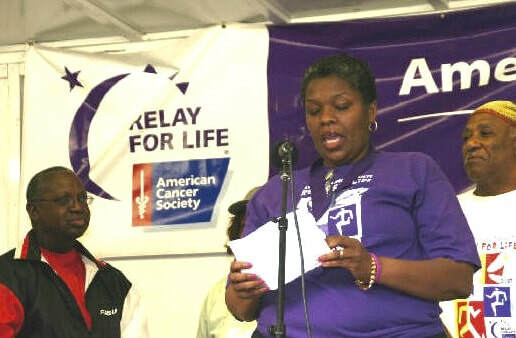 Vanessa Cowan, Relay for Life’s survivor chair, acknowledged the many friends and family who have supported her since her cancer diagnosis in 2004. Now in remission, Cowan has dedicated her life to become a vocal community activist. According to Cowan, life after cancer has meant that she had the opportunity to spend time with her grandson, start a business, pursue a marketing degree, and learn how to swim. “I am a better person because of cancer.” She urged those who have a cancer diagnosis to have faith, accept help, stay strong, and have a team of health care professionals. She concluded, “Get busy living, or get busy dying, because the choice is yours. 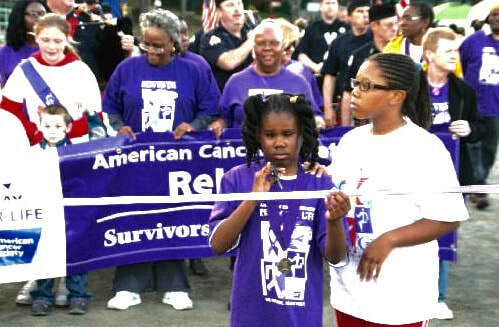 Many of the relay’s 79 listed survivors gathered in a sea of purple t-shirts to lead the Survivors Lap, the first walk around the track. Each team was expected to send one walker around the track throughout the 13-hour event. D-Train Williams sang a moving rendition of “Amazing Grace” as part of the Luminaria Ceremony. Candles were lit within bags that contained names to remember those lost, those who are currently fighting cancer, or those who have survived cancer. The stadium’s lights were then dimmed revealing a brilliant circle of light around the track’s perimeter.